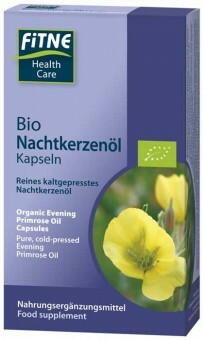 Fitne Organic Evening Primrose Oil Capsules - 60 pcs. 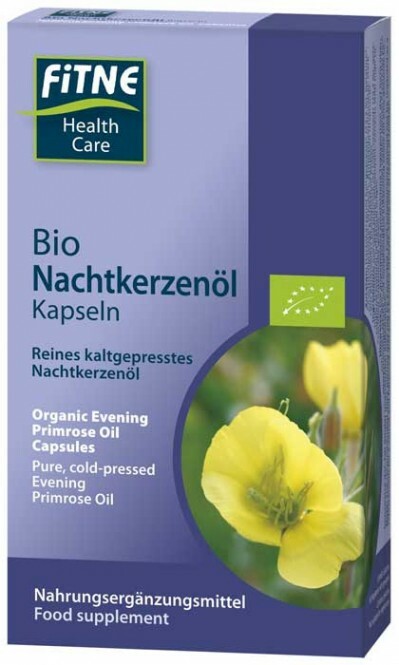 Evening Primrose Oil is a natural source for essential poly-unsaturated fatty acids, such as e. g. linoleic acid. Linoleic acid contributes to the maintenance of normal blood cholesterol levels. The beneficial effect is obtained with a daily intake of 10 g of linoleic acid. FITNE Organic Evening Primrose Oil Capsules with cold-pressed evening primrose oil provide the body with valuable unsaturated fatty acids, like gamma-linoleneic acid. The daily portion contains 1,668 mg primrose oil on average. Fitne Red Clover Isoflavone Capsules - 60 pcs.